Both the Irish Cruiser Racing Association (ICRA) and the Royal Cork Yacht Club have just launched their respective websites for the ICRA National Championships which will take place at the club from Friday 9th to Sunday 11th June. Online entry is now open and available at www.cruiserracing.ie and www.royalcork.com. Along with nine National IRC and ECHO Titles the event will also host the Corinthian Cup and for the first time a new ICRA Coastal Cup. A minimum of six races are scheduled but with the option to sail additional races at the discretion of the RO, determined by factors such as the weather. Racing is scheduled to start at 1400 on Friday 9th June 2017. Closing date for the early entry fee is 12th May 2017. The Notice of Race can be downloaded from either website above. The Royal Cork Yacht Club have been working closely with Kinsale Yacht Club on scheduling of event dates with Sovereign’s Cup taking place two weeks later, with boat storage in between events and even some delivery opportunities available. 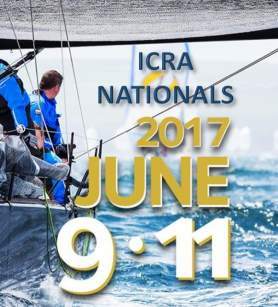 The first 20 on line entries to the ICRA National Championships (non-Munster) will be offered the option of having their boat delivered after the ICRA event by sea from Crosshaven to Kinsale for Sovereigns Cup on June 21st to 24th. To facilitate planning the organising committee would encourage all boat owners to enter early.